Renewable Energy designs are the bestsellers in our store. 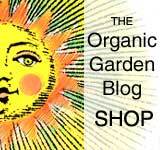 Click on the images to visit our Organic Garden Cafe Shop. Our “Renewable Energy” designs are inspired by the early days of the alternative energy movement and futuristic graphic design visions of the early 1980’s . At the 1982 US Festival Career & Technology Exposition we set up an Apple II computer and designed the software to manage a tilapia pond utilizing a biological filter which we integrated with a hydroponics system for growing vegetables and mesclun salad greens. Our successful exhibit further developed into our new creation of a highly efficient,self sustainable, organic fish and vegetable growing system that no longer requires a computer to maintain it’s natural balance. Now, all it takes is a daily check on the chemical balance of the water and the hydrophobic pumping system which is controlled by a common irrigation timer. A simple, efficient system to grow out your fish, tomatoes, cucumbers, squash and mesclun greens. 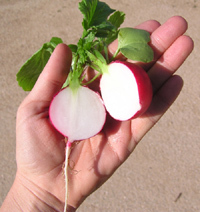 Our E-Book project, “Growing Fish & Greens” details the technical aspects of our Self-sustainable hydroponics system. “The U.S. House of Representatives on Saturday passed a Democratic rewrite of U.S. energy policy that strips $16 billion in tax incentives away from Big Oil and puts it toward renewable energy sources like wind and solar power. The House voted 220-190 to add a controversial amendment that would require U.S. utilities to generate 15 percent of their electricity from renewable sources like wind and solar by 2020. Notably absent from the bill is a hike in automobile fuel efficiency standards, which Pelosi put off until the fall to avoid a bruising fight with fellow Democrats including Energy and Commerce Committee Chairman John Dingell of Michigan, the staunch auto industry ally who says he wants to deal with fuel standards in global warming legislation later this year. The Senate in June approved a bill that hikes auto fuel standards to 35 miles per gallon by 2020. The House bill must be reconciled with the Senate version, which is markedly different. We are presently undergoing a massive shift in our renewable energy uses, green technologies and self reliant lifestyles. Each and everyone of us plays a critical role.